The Law Office of Robert Dunne provides quality and cost-effective per diem services for individual attorneys and law firms throughout New York State. 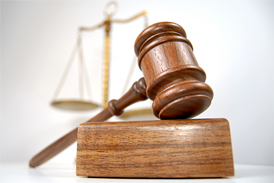 Mr. Dunne has many years of experience in all phases of civil litigation in New York. If you are too busy or have a conflict in your case schedule, you can trust The Law Office of Robert Dunne to handle the matter with the care and diligence it deserves. IN THE FIVE BOUROUGHS OF NYC -$150. If a dispositive motion requires oral argument, an additional fee will be negotiated. Any venue in New York State: -$300 per hour. However, due to the varying issues and schedules involved with trials, any trial work fee arrangements can be discussed and negotiated on an individual basis. **All prices for appearances, hearings and depositions include memo/report.